We can now offer a motorcycle carburettor reconditioning service. A complete strip down of the carburettor. An assement of any additional work or parts required. All parts will be ultrasonically cleaned. Vapour blasting of the external carburettor body. Rebuild of the carburettor will include fitting the following new items (where available). Pump diaphragm – where fitted. Fuel filter – where fitted. Turn around time is approximately 5-6 weeks. Return postage will be charged as an extra at our normal postage rate. We can also arrange for collection from a UK business address for £15+vat. 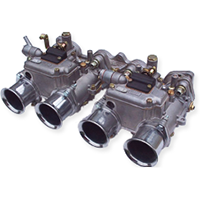 Please contact us before sending us your carburettor to ensure that we can supply all the necessary parts.